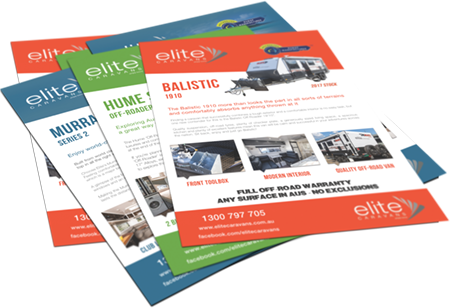 Click the following PDF links to download the Elite Caravans brochures. Please Note: floor plan layouts and caravan images presented here can be used as guides, as each caravan has been customised for our customer's particular needs and tastes. All interior furnishings and fittings, such as fabrics and colours, can be altered to suit. Of course, you can choose a caravan to be built exactly as shown in the images.